For more than a decade, parents and medical professionals hotly debated whether routine vaccinations caused autism in children. However, the British Medical Journal reported yesterday that the claim, made by Dr. Andrew Wakefield in a 1998 study, was an “elaborate fraud.” The six million-word investigation concludes that Wakefield deliberately altered or misrepresented the medical histories of all 12 patients used in the analysis. For example, the study said that some children would receive a vaccine, then show signs of autism just days later, but the investigation found that Wakefield made up many of the dates reported. Often, children showed signs of autism before the vaccine was ever administered or months after the fact. So, what do you think? The Lancet, which originally published the study, retracted the paper in February 2010, and Britain revoked Wakefield’s medical license last May after a panel found that he conducted his research without approval by the ethics committee and ordered invasion and unnecessary procedures for the children involved. But the study has clearly damaged public health; it led to a sharp drop in the number of children receiving the vaccine that prevents measles, mumps, and rubella. Rates in Britain dropped as low at 80 percent in 2004, and the number of children diagnosed with measles went up. In the United States, more cases of measles were reported in 2008 than in any other year since 1997, according to the Centers for Disease Control and Prevention, and more than 90 percent of those infected had not been vaccinated or their vaccination status was unknown. Uncertainty about the study began several years ago after Wakefield failed to reproduce his results and other researchers were unable to match them. Most of the study’s co-authors withdrew their names in 2004 after it was discovered that Wakefield had been paid to conduct the study by a law firm that intended to sue vaccine manufacturers. Despite the mounds of criticism, Wakefield continues to staunchly defend his research. "Most of the study�s co-authors withdrew their names in 2004 after it was discovered that Wakefield had been paid to conduct the study by a law firm that intended to sue vaccine manufacturers." And not only that, but Wakfefield had applied for a patent license on a MMR vaccine of his own during the same time frame. I watched the live interview on CNN last night, and he vehemently dodged all of Anderson Cooper's questions, all the while maintaining that it's all a conspiracy against him and that if people would just read (buy) his book that they would learn the "truth." Shilling for a dollar until the very end, eh, Wakefield? In case people don't know, the reason he lost his medical license is not because of his faked data, it's because he gave unnecessary, invasive spinal taps and colonoscopies to toddlers for his study. Millions of doctors and scientists around the world have doubted his study for years, yet people still follow Wakefield like he's the Messiah. Irregardless of any formal studies, the true litmus test in the vaccine/autism link debate are the children who are affected after receiving the injections. Parents know their children better than the government or researchers in a lab, and when they see the impact a vaccine has on their child, that is evidence enough. Of course, there will always be 'debate' surrounding this issue because the drug companies have so much to lose, and they also have the government in their back pocket. Oh yes, I forgot - anecdotal evidence from desperate parents trumps scientific data. My bad. Oh yes, I forgot - anecdotal evidence from desperate parents trumps scientific data. My bad. Thing is, if you're going to use the weak "parents know better than everyone else" argument, then you can't ignore the millions of children who have been vaccinated without any problems. There is no cause and effect, here. There is no debate. Though to be fair, there are still people who think the earth is flat. The world will continue to become a more dangerous place to inhabit if we assume scientific data, which may also a) be rife with human error and b) be paid for to be conclusive a certain way, trumps human instinct. And I never said we should ignore the millions of children who have been vaccinated without any problems. But the ones who HAVE HAD PROBLEMS SHOULD BE GIVEN A VOICE TOO. Wakefield and all of his personal issues, agendas aside. Sorry, but Wakefield's is not the only study to suggest a link between autism. The U.S. Vaccine Court has compensated two families so far because after a rigorous examination of the science and facts, they found there is a link. And the MMR is not the only shot that causes problems. ALL vaccines have reported, documented side effects. Period. Check the FDA reporting stats or the product insert on ANY vaccine product, if you doubt that. The notion that just because ALL children are not affected the same way is an absurd and facile argument. Some kids may well be genetically more vulnerable to damage from vaccines than others, or may be exposed to specific environmental toxins that increase their vulnerability. This is scientific thinking. Are they doing studies along these lines? No, they are not. They're using the same tactics the tobacco industry used to "prove" cigarettes had nothing to do with lung cancer. Studies of vaccinated v. 100% unvaccinated populations HAVE NOT BEEN DONE. Talk to me about vaccines being safe when those are in. In the meantime, I'm not just worried about autism, I'm worried about the huge increases in allergies, asthma, diabetes, cancer, obesity and a host of other auto-immune disorders. Our kids are guinea pigs starting the day they are born because there are no long or even medium term safety studies on these drugs and none are planned. The FDA, CDC, & NIH are every bit as corrupt and rife with conflicts of interest as the banking industry and look where that got us. But now we're talking about people's health and children's lives instead of our pocketbooks. "There is no cause and effect, here. There is no debate. " That is a load of crap, I'm sorry. That's like saying tobacco, does, or doesn't cause cancer. You cannot say that it doesn't affect people. Sure, maybe not EVERYONE will get cancer, just like not everyone will end up with autism. Every single person is different. For the government to say there is no link, would mean they would have to test every single person on the planet. It's like anything else. Why are some deathly allergic to peanut butter, and others aren't? Why am I allergic to cats, while my husband isn't? The answer is simple, we're all organically different. I'm not saying that it's 100% true that vaccines cause Autism, but don't say that it doesn't affect certain people. I know someone who developed a twitch after receiving vaccines. Not a young child, an adolescent. And yet, I bet you$100 that the pharma companies would say it's not the vaccines fault. That it was just a coincidence. I don't agree with anything Wakefield has done, but I'm still suspect of any sort of chemical that goes into my body. Here's how I feel. I researched the individual ingredients in the vaccines that we give our tiniest humans. Many of the chemicals, according to government websites, have never been tested for pediatric use. 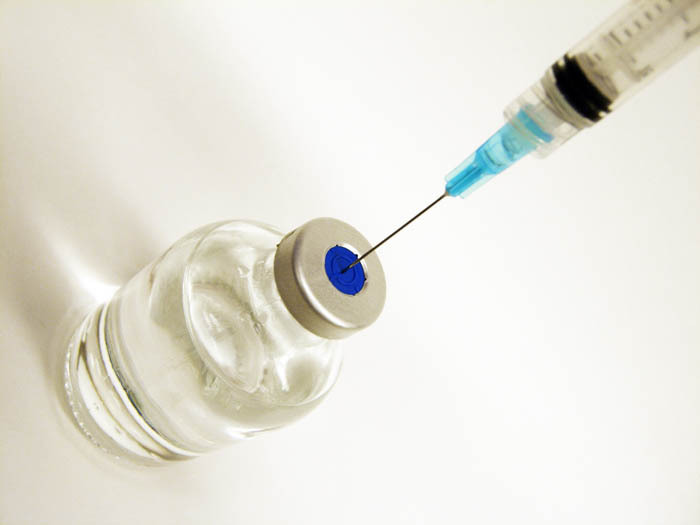 Sorbitol, one of the key ingredients in many childhood vaccines clearly warns that it's not to be injected. It's for irrigation purposes only. When ingested the body breaks it down naturally and it is harmless. However, when we inject it directly into an infants bloodstream there is no way of knowing the side effects since it has never been studied or tested. I find that to be unacceptable. The study in question here is a very specific one attempting to link MMR to Autism. Neurological disorders, it has been proven, are caused by toxins in our environment. We just aren't sure which ones. So, it is possible that while MMR may not alone be responsible for Autism, it could play a role. For instance, if you are a household that uses all sorts of toxic chemicals to clean your home and you keep all such substances stored in a small space under your sink where it can all mix into a nice little toxic cocktail and you have a child that inhales that cocktail daily and then goes to the doctor to have MORE toxins injected directly into their bloodstream then they might be a candidate for a severe neurological disorder. This would be a hard case to prove unless you could monitor every aspect of a child's daily life in a controlled environment and repeat that same study thousands of times over with different children. The fact is, that the vaccines we inject in our children today are not the ones we used yesterday. They are constantly finding probable links to the key ingredients to some sort of horrible modern day disease and then eliminating that ingredient and declaring them safe again. If it is true that we at one time used vaccines on our children thought to be safe then who's to say we aren't doing the same now? Just because big pharma hasn't shelled out the big bucks to do the intensive studies (plural because this requires non-stop studying) necessary when talking about our children doesn't mean that there is no link. It is unfortunate that Wakefield did this because it's made this issue black and white to people that can't look beyond the high profile cases and people that muddy the issue. It's not black and white. There has also been no study done that definitively clears MMR as a culprit in the rising number of Autism cases. If we think it's plausible that toxins we inhale might be to blame then why is it so crazy that parents are suspicious of the toxins we inject directly into our children in the first days, weeks and months of life? Do your own research on the ingredients. It is disturbing, to say the least. Those who really read up on this debate, should know that vaccines do not CAUSE autism, per se, but that the chemicals in the vaccines get into the brain, because the blood-brain barrier is not fully developed in children under the age of 3. The chemicals getting into the brain can alter the brain chemicals and cause any of the various forms of autism spectrum disorder. So, vaccines can be indirectly related to the development of ASD, IF they are given before the age of 3, and this occurrence is more prevalent in boys than girls. I, personally, am holding off on getting my son vaccinated until he is 3 years old. He's 7 months old now, 23 lbs, 30 inches tall, and has not had even as much as a cough or fever. Healthy as a shark. For more than a decade, parents and medical professionals hotly debated whether routine vaccinations caused autism in children. However, the British Medical Journal reported yesterday that the claim, made by Dr. Andrew Wakefield in a 1998 study, was an "elaborate fraud." The six million-word investigation concludes that Wakefield deliberately altered or misrepresented the medical histories of all 12 patients used in the analysis. For example, the study said that some children would receive a vaccine, then show signs of autism just days later, but the investigation found that Wakefield made up many of the dates reported. Often, children showed signs of autism before the vaccine was ever administered or months after the fact. So, what do you think?